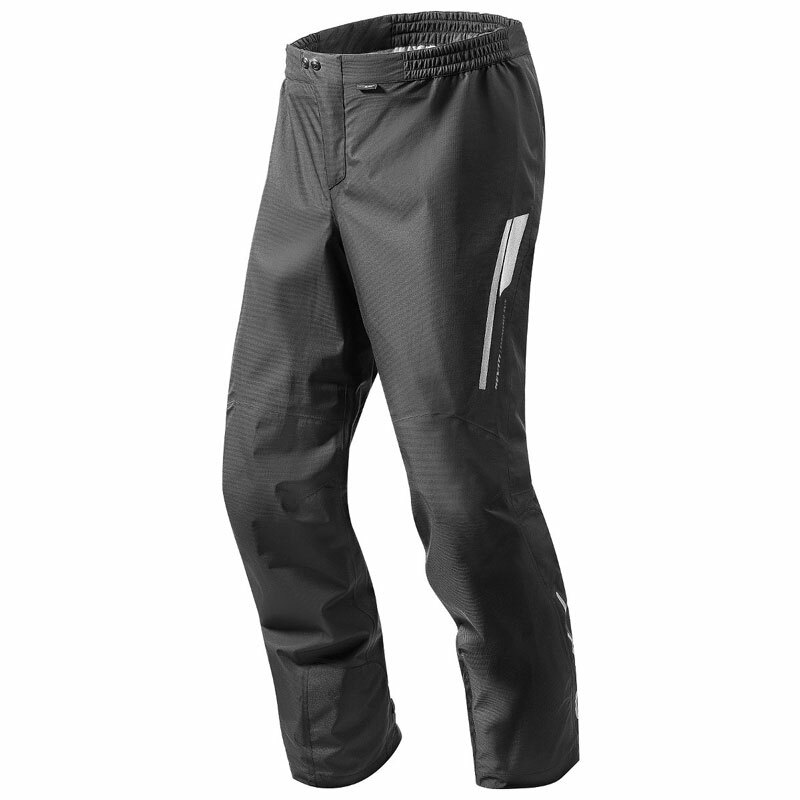 These rain trousers will guard your riding trousers from the rain. Their lightweight construction makes them easy to pack along, so when rainfall begins you can get them on in no time thanks to the fully adjustable wide fit and side leg zippers. 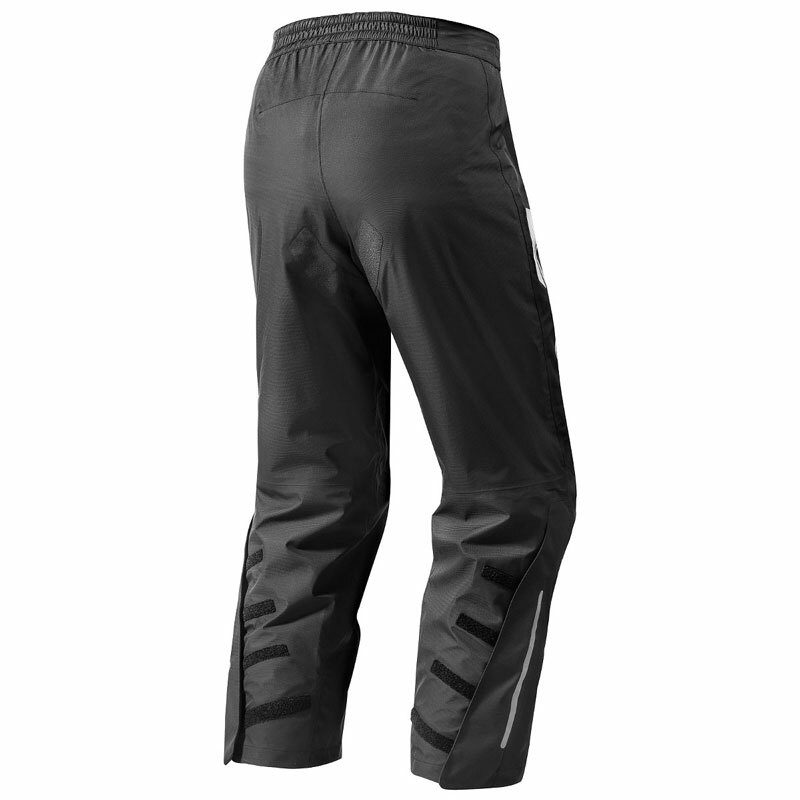 These are sure to become your ideal travel companion, ready to guard you in harsh conditions. Features: These trousers feature a heat patch to ensure the heat of the engine won't damage the fabric elastic. The grip panel at the seat ensures you stay in control in all weather conditions and won't slide in your seat at any time. A key feature for any rider, pillion passengers will also appreciate this extra level of performance. Behind the zipper a leather flap has been attached to the inside of boot. It has been stitched on both sides in order to keep out rain, wind and dirt. Protection: Polyester yarns woven into a ripstop. Thick reinforcement threads are interwoven at regular intervals into the fabric in a crosshatch pattern known as ripstop. Polyester is a manmade material that is strong, durable and water repellent. This particular polyester is woven into a basket-like weave, creating a sturdy fabric with a lustrous look and features a polyurethane coating for additional durability. Sure grip fabric or leather features a special, texturized print, which offers an excellent grip under high-performance riding conditions. Waterproofing: A 3-layer fabric. The innovative REV’IT! Hydratex® - 3L Pro membrane consists of three functional layers, which are laminated together to become a single strong layer of all-weather protection. A waterproof membrane is laminated directly onto the inside of the abrasion-resistant outer shell, and a protective inner lining laminated onto the membrane itself prevents run-and-tear damage. Water repellence, light weight, and high breathability are all benefits of the 3-layer system.